Versatility and rugged reliability separate this mic from the pack. 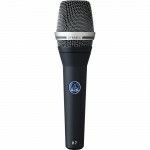 The AKG D7 is a dynamic micro.. 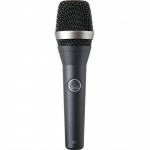 The D5 dynamic vocal microphone for lead and backing vocals delivers a powerful sound even on the ..
An excellent choice to cut through dense, loud mixes. The AKG C5 Cardioid Condenser Vocal Micro..